Mobilize Your VB or C# App. WebMAP is available at studio.mobilize.net. Register here and try it free. Low Risk: Fewer bugs and zero feature creep mean that a migration is much lower risk than a manual rewrite. If you have Visual Basic apps, we have the solution for you. 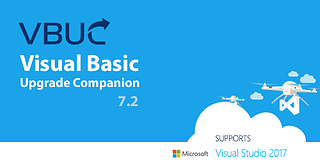 The latest version of VBUC is optimized to prepare your VB6 code for a WebMAP "double-jump". Click below for your free trial of VBUC! Learn what other customers have to say about WebMAP. Find out what's new in WebMAP 4.0. Learn more about WebMAP and Mobilize modernization.